Squaw Valley USA] March 23, 2011 – With another 100′ blanketing the area in just five days, Squaw Valley USA has reached 50′ total snowfall for the current 2010-2011 season. 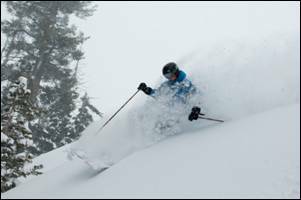 The third time since 1970 to ever reach these record numbers, the resort is expected to surpass these totals by the end of this week as forecasted showers continue to bring even more fresh powder. 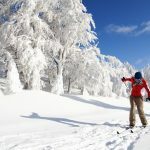 Currently with a base of 250′, the resort boasts incredible skiing and riding conditions with reported chest-high powder in some areas of the mountain. 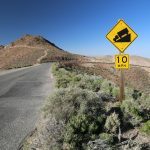 Squaw Valley’s snowfall records date back to 1970, and this season marks the third time on record that Squaw Valley has reached the significant 50′ milestone. 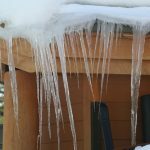 The only other seasons to reach a 50′ snowfall total were winter 1994-1995 and winter 2005-2006, but unlike this season, neither surpassed the 50′ mark before April. 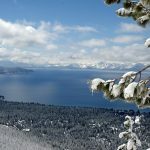 Already above the seasonal average snowfall of 450,’ Squaw offers the longest season in Lake Tahoe with a closing date of May 8, 2011. Known as North America’s Spring Skiing Capital, skiers and riders can take advantage of the abundant snowfall with a Spring Pass for just $199. The 2011 Spring Pass is valid 7 days a week from April 11, 2011 through the end of the 2010-2011 winter season. If purchased with a 2011-2012 season pass, spring visitors will receive a discounted rate of $129. Spring at Squaw Valley blends the best of both worlds: sunny California weather and incredible snow. 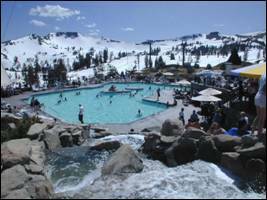 After hitting the slopes, guests can enjoy Squaw’s many outdoor sundecks, patios and mountaintop swimming lagoon, opening April 2, at High Camp, el. 8200′. 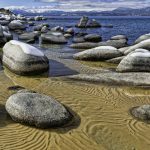 An array of spring festivities, from the Kiss My Tiara Pool Party to the North Tahoe Truckee Earth Day Celebration, adds to the excitement of the season as Squaw brings visitors all the best in western skiing.